CNC foam router is used for engrave large non-metallic mould, especially automotive foam mould, wooden ship mould, aviation and train wood mould. And wood mould casting, food mould (e.g. moon cake mould) and other mould making. With the rotary axis, CNC foam router can do any kind of 3D cylinder material and mould processing for woodworking, advertising, molding industries. 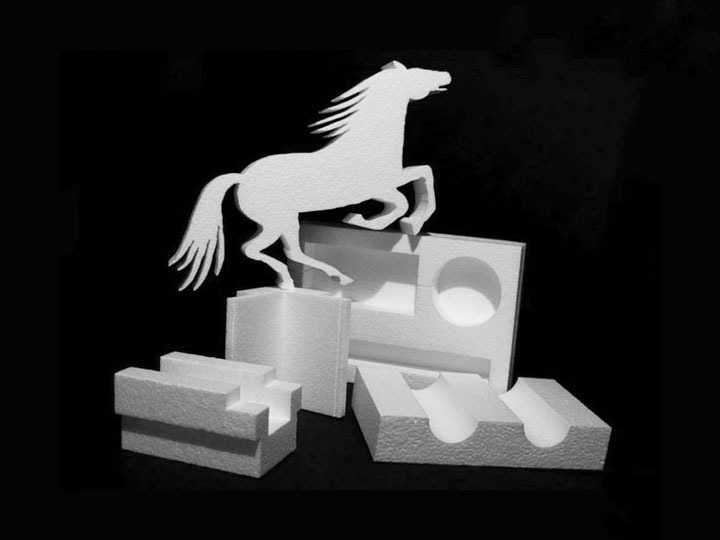 With the 180 degree spindle rotation, CNC foam router can engrave some arch shaped work piece as well. Z axis of CNC foam router can be heightened to 1,000 mm, it is suitable for large-scale material 3D curve working. License: The text of "2D/3D CNC foam router projects by 3D CNC router" by STYLECNC is licensed under a Creative Commons Attribution 4.0 International License.